We are a credible Exporter and Supplier of Laboratory Board (DSP 2812). 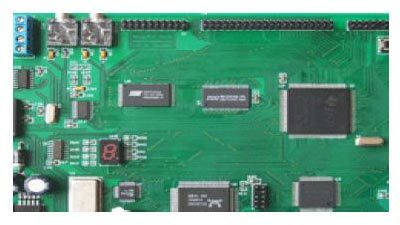 This package is a set of learning based on TMS320F2812 DSP development platform, TMS320F2812 development kit to a development board for users to learn to use, as the system board can also be embedded into the users products for users of secondary development in order to shorten the product development cycle. Built-in 128 K * 16-bit FLASH, users can be stored procedures, FLASH can be encrypted. Extended 256 K * 16-bit SRAM (basic configuration), which can be expanded to 512 K * 16K. Expanded 4 MB FLASH (basic configuration), which can be expanded to 8 MB, user-friendly prototype development. RTL8019AS network interface chips, realization of Ethernet communications. TLV320AIC23 audio codecs, recording and radio to achieve. HOST USB interface chip SL811H, plug-ins to mass storage devices. RS485, CAN2.0 conversion circuits, user-friendly network.